What kind of Trump biography will I be reading in 15 or 20 years?!? Contrary to much that has been said recently, there is nothing new about shockingly polarized politics or outlandish political rhetoric. But irrespective of your personal political views one thing is certain: the next few years will be memorable! Are you planning on appending a Trump bio to your list? Will there be a reasonable bio of him by the time you reach #45? 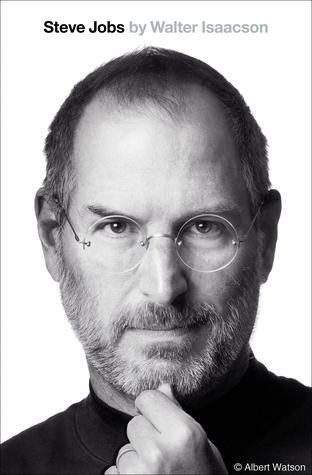 I don’t mind (too much, anyway) bios written before someone’s death – in which case they are necessarily somewhat incomplete – but I need to see pre-presidency and presidency side-by-side in a biography in order to assess how the person really evolved and how those two major aspects of a life fit together. If you should change your mind about that, I highly recommend Wayne Barrett’s Trump: The Deals and the Downfall. Though it was first published back in 1992, it really is a first-rate work of investigative reporting, one unlikely to be surpassed as Barrett was able to interview people for it who are no longer alive (such as his father’s employees). I had a discussion with an elderly woman in a parking lot in Green Valley, Arizona a couple weeks back where we talked about this. I look forward to all the bios I read but I think it will be very difficult to find a truly unbiased biography of any president from George HW Bush on. I could be wrong, but I wholeheartedly agree with your idea of seeing a pre-President and post-President that is somewhat separated by history in order to get the “best” picture of them. You may be correct, but it will depend on one’s lifespan. In the 1970s it would have been difficult to imagine a balanced, objective biography of Nixon or Johnson. I believe we are seeing some balance emerge on them. I started my biography journey just after the last presidential election. Working on Eisenhower now. I have to say I have had a whole new perspective this political season as I know much much more about our nations history and our past leaders!! I started all this more as a way of entertaining rather than educating myself, but have really enjoyed how much history I’ve learned along the way. It’s fascinating to see how the country has changed since its earliest days…and how it has not! I read The Art of the Deal when it came out. I recently read it again and was very surprised. You really only need to read the first 3-4 chapters. Trump’s way of dealing with people and business is about the same then as it is today. The rest of the book is about the details of past deals, but even in those chapters you can see how he thinks and operates. Outside of adding Twitter to his arsenal, not much has changed in the way he does things. Drats. One more presidential bio going in my shopping cart. And I already have McCullough’s Truman to get to, Caro’s set on LBJ, an Eisenhower book, and not to mention Manchester’s Churchill trio (though not a U.S. president, but a book on a world leader nonetheless). Guess I have to get going! One unyielding law of the universe: there’s just never enough time for everything! This seems a good place to leave a comment on the overall project. I’m reading one biography of each president and am just finishing up Treouffouse on Andrew Johnson. I have gained much from your descriptions of the “best” biography and find that you help me make a choice that strikes a middle ground among various considerations. The most striking thing to me about the pre-Civil War era is how the issues of the day are similar in many ways to the current political issues. My consternation over having elected President Trump are mollified by having seen the nation survive Tyler, Polk, Taylor, Fillmore and Buchanan. And, surprisingly to me, each of them emerged as having some admirable characteristics along the way. Finally, I will say that I expect to end my journey somewhere around Lyndon Johnson. I tend to think that these books are best read as history and that the influences of my own experience will color my reaction to the Presidents whose times I have inhabited as an adult. Thanks for your note – the thing that struck me at the beginning of my second year on this journey was what you identified in your second paragraph. Nothing, it seems, is really new. All that changes are the names of the players, the date and the specific issues. But the themes, the angst and polarization all seem part of an endless “Groundhog Day”-type loop. I’m planning to end with Bush 43 or Obama, depending on where I get the last “real” biography with some feeling of distance from the subject (though that would really probably be Reagan at this point) and as time elapses I’ll push forward. In the meantime I’ve missed a few biographies of most of the presidents which I “need” to read so I’ll go back and fill those in as well. The last posting here was July 2017, which I find surprising, and thus would like an update on your thoughts on POTUS#45. Although I concur with your endless “Groundhog Day” analogy, and that we (the American public) have had and survived many ‘bad’ Presidents, I wonder if #45 isn’t qualitatively different. I am one of many of your fans who have been reading Presidential biographies and using your reviews as guidance. Initially jumped around in time and related people and places (Grant, Eisenhower, Frémont, West Point by Stephen E. Ambrose, Supreme Court by William H. Rehnquist), but now moving linearly POTUS 2-12 (yeah skipped old George). This has been very therapeutic for me to deal with #45, as the incompetence, political back stabbing, greed, ego, newspaper press polarization and human nature of the Presidency and cabinet and Congress is repeated throughout the last 200 plus years. But there seems to be a new aspect (besides Twitter). Many Presidents held strong opinions which they followed in the belief they were doing what might be ‘best’ for their constituency and country. Even those who just played the politics like van Buren, had national goals. But POTUS#45 plays a reality TV show in which everything revolves around him, and has no strong beliefs about the country and acts as if there are no real consequences (as there wouldn’t be if this is a reality TV show). As proof, his hair is not greying and he isn’t suffering any medical ill effects (as becomes all other Presidents who take the position seriously). BTW, great picture of you in the Washington Post Article Feb 4, 2016. Until the latest presidential election I’ve only added POTUS categories one at a time – and sequentially (that’s how I’m reading the biographies, of course). Since I felt compelled to post something #45-related following the election I had to create the POTUS #45 category out of order and haven’t tried to keep it current (I haven’t read anything Trump-related and won’t for some time). My wife often asks me when I think a worthy, comprehensive Trump bio is going to come out. I think she expects it to tell a crazy – but fascinating – tale. Unfortunately I suspect it’s going to be awhile. I think that Trump, more than most presidents, is going to require significant time and distance for a deliberate, dispassionate perspective. Depending on his length of service in the White House it could be a decade or more before a balanced, comprehensive and insightful biography of him is published. 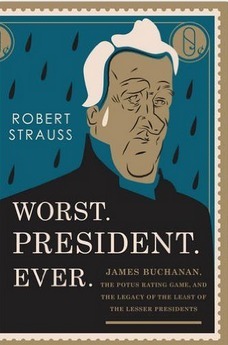 Although I’ve tried to keep my personal political views out of my posts (in an ideal world we should be able to agree on the best-written presidential biographies without worrying about what side of the political spectrum we each occupy) it is fair to say I had higher hopes for the current administration. But I’ve also witnessed the country surviving fractious, difficult and nearly impossible moments due to the strong fabric of the Constitution, the resolve of various branches of government and the occasionally strong will of the American people. So although it would be easy to wallow in despair over the current state of affairs, I harbor an unusual degree of optimism relating to this country’s resiliency. (To be honest, I’m more worried about the intermediate-term impact of our fiscal situation than the chaos being generated in the White House). 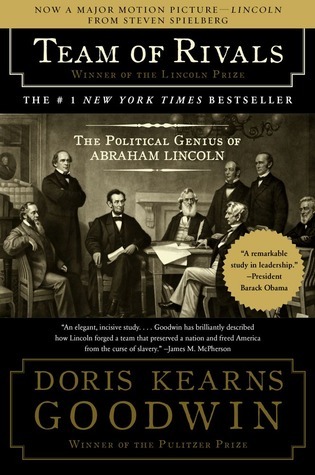 But no matter what, I think one thing is certain: great presidential biographies are colorfully written, engaging, insightful, balanced and capture the president, the country and the global context in an way that is both entertaining and instructive. And I *really* wish I could peer into the future to see what the best biographies of POTUS #45 will have to say! I;m just beginning my journey (about 13 hours into Chernow’s Washington book, which is very very good). I’ve been setting my course but once you get past Nixon or so, it really does seem that biographies become “biographies” written largely by political enemies or sycophants. What is the minimum time for a really effective even handed bio to be written? Do you think it varies by president? It seems that finding a good book on Bush (41) might be easier than on Reagan. Anyway, very much enjoy the blog. I decided to set off on this project after going to see Hamilton here in Des Moines and loving it. Thanks for the help along the way. Glad to hear you are getting started with this fascinating adventure! Although I agree that many biographies of recent presidents seem to be less focused on objectivity and more focused on pressing a point, I can although think of many that don’t fit that mold. I do generally prefer biographies that present all sides to a person’s character / actions and allow the reader to form a conclusion on the basis of full information. But, having said that, since I’m reading several bios per president I’m also in a better-than-average position to manage the “outlier” perspectives and those which are downright biased or one-sided since I can synthesize everything I’ve read and create a holistic portrait. In any event, good luck on your journey and let me know how it goes!